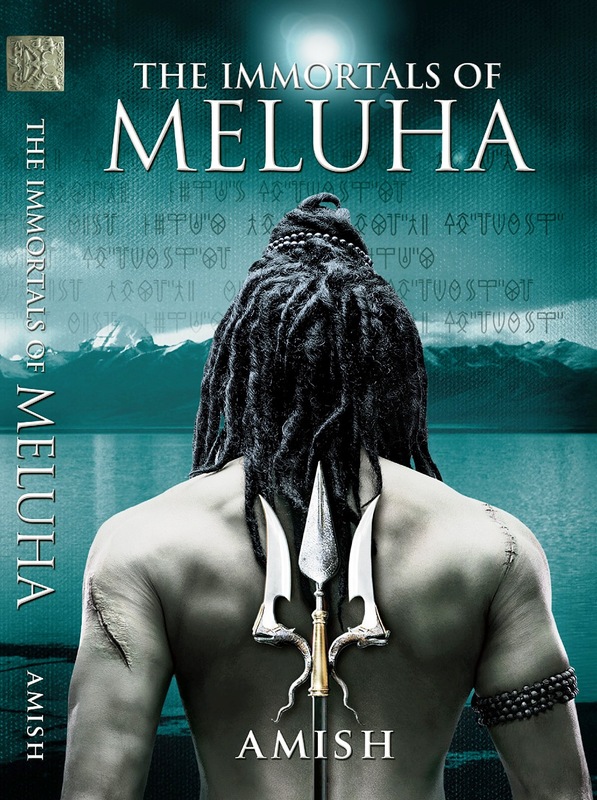 I just completed an Indian fiction "The Immortals of Meluha" - the book 1 of the Shiva Trilogy series by Amish & the first thing I did after completing it was ordering the book 2. I never expected it to be so intriguing given that I had not given much try to such topics as spiritualism specially the one concerning the Great Indian God Shiva, whom we don't find as friendly as the other Gods in the numerous story books or TV series we all grew reading/watching up. Though its cover itself attracts many a reader to the different kind that it is. And as for me ,it definitely has opened a vast genre of the mythological fiction yet again. Must say the author had done a wonderful job of carving out a beautiful story from his imagination as he started with a simple human yet a courageous tribe leader called Shiva who goes on through tough decisions concerning his tribe & its well-being & takes us through any normal human emotions as Shiva & his group accept the invitation and immigrate to Meluha. 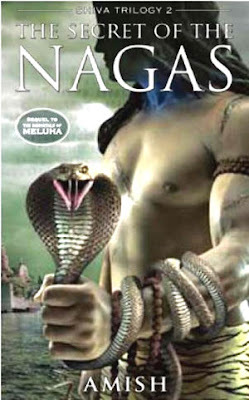 The author then beautifully carries forward the story of Shiva, as he discovers Meluha, understands its people, finds his soul-mate & most importantly discovers his abilities while protecting Meluhans who as their legend said had waited for him since years.The ability which ultimately makes him find the Mahadev in him as others had expected in their neelkanth (Blue-throat). Since the last post a lot has happened! I have turned a year older, gave my big exam, have traveled to my family & met people who have again made me introspect what am I really running after. Traveling indeed teaches & I have already learnt a lot last two days.So on my way back home, thanks to the delayed AI Flight, I happened to come across a defense personnel.I was lucky enough to have talked to him, as he shared his experience, his professional challenges & how it has taught him to live his life to the fullest.Hearing him, my respect for him & his profession not only grew by leaps and bounds but also made me respect mine as I saw it from his views.I would rather think it in this way that such things are not mere coincidences but small doses from the universe it would like to give us. Right! Now before the label of this post switches to 'Philosophical me' let me continue with the Travelogue part. 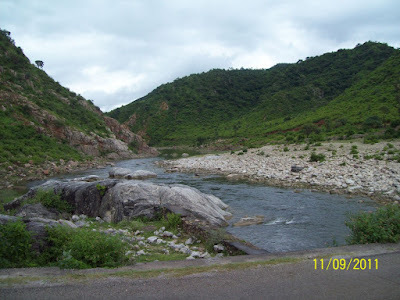 So here we were through the beautiful country-side of Udaipur, the city of lakes as it is popularly known as with its rich Rajputana history which gives it the royal touch. 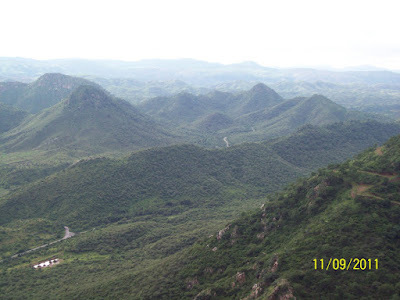 Add to it the the clouds weaving their magic in this amazing weather as it turned the complete place into nothing less than a hill station as we discovered. Yes! I know far away from the office/routines & blah blah, straight to the nature's lap. 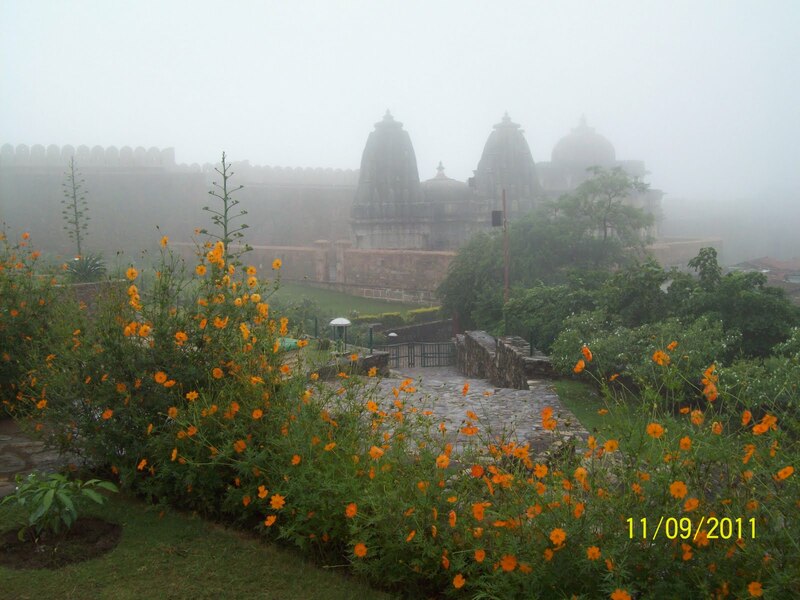 By evening we started back towards the city & with still good time left with us & mood & spirits all freshened up even after the complete day's trekking, courtesy the weather gods, we turned towards Sajjangarh, or as it is better known as The hilltop Monsoon Palace which as can be seen gave a wonderful aerial view of the city, its lakes full with water & the mountains under the green velvet around it. 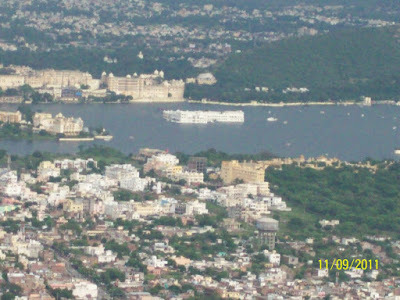 Trying to focus on the lake palace in the Lake Pichola for sis!